Sleep Supernanny’s 5 Simple Steps To A Better Night’s sleep for you and your baby!Sleep Baby Sleep! will show you everything you need to know about your baby’s sleep and empower you to foster healthy sleep habits for your baby. “Sleep Supernanny” Zoe Chu is a renowned baby and child sleep expert, an author and a parenting speaker. 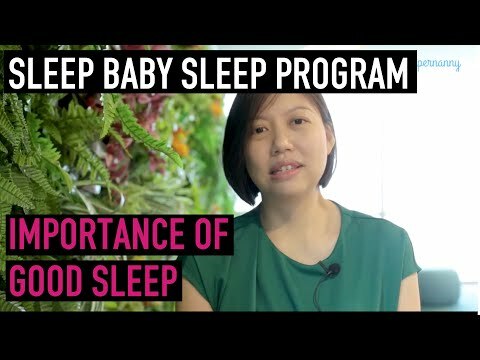 She founded SG Supernanny to help transformed the lives of many tired and sleep deprived families around the world through her 5 steps baby sleep system. Her journey started when her twins babies just refused to sleep and stay asleep! After getting her twins to sleep well and through the night, she started helping her friends and families to get their little ones a better night’s sleep as well. Her expertise has often been featured in Mother & Baby, Singapore Motherhood, Sunday Times, Expat Living, Lianhe Zaobao, Harper’s Bazaar Jr, AsiaOne, SmartParents, Young Parents, Money FM and Channel NewsAsia. 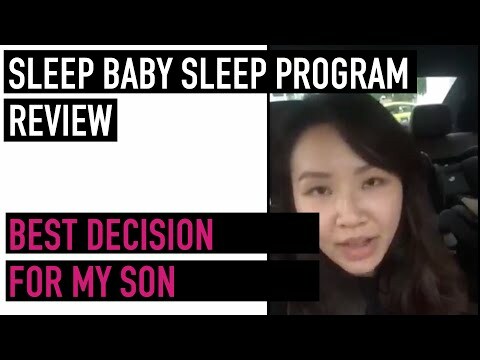 She lives with her husband and four children in Singapore and all her kids (including her twins) have been sleeping through the night since they were 3 months old. Sleep deprived, exhausted, feeling like a zombie and unable to concentrate – I’ve been there! Struggling to find a sleep solution for my twins was the motivation for my sleep research and I finally found the perfect sleep system for my babies. happy and well rested mommies! Sleep Supernanny’s 5 Simple Steps To A Better Night’s sleep for you and your baby! This book will show you everything you need to know about your baby’s sleep and empower you to foster healthy sleep habits for your baby. The quick start guide will help you start tackling your baby’s sleep issues right away! Get yours in hard copy or eBook! Get your copies from these book stores today! Engage Zoe to speak at your next event! Parents love Zoe’s talks as she gives lots of valuable sleep tips and parenting advice for families. How much is sleep deprivation costing your business? A recent US survey estimated that sleep deprivation costs the nation an estimated $150 billion a year due to lost workdays and drops in productivity. It’s never too late for Nadya and Jack, my newest clients. They are both professors and parents of two little ones. They have been very sleep deprived for months actually years since their toddler is now 2.5 years old. They also have a 3 months old baby. I really admire them because even though they are so tired and sleep deprived they could still crack jokes and try to stay positive despite it all. 9 days 8 nights itinerary for Taiwan with kids plus Bonus: 5 important Sleep Tips when traveling with kids! 9-day Taiwan Itinerary and sleep tips when traveling with kids. It was my friendly neighbour that told me about baby sleep training. Since then, I started to pour myself to sleep training books to figure out how to get my twins to fall asleep on their own and make them sleep through the night. Two more lovely babies later, I am now helping other parents how to make their baby sleep. © Copyright 2018. www.SGSupernanny.com. All Rights Reserved. Download THE MINI BABY SLEEP BOOK for FREE to get you started on creating healthy sleep habits for your baby. You will also receive my regular newsletter to keep you up to date with sleep tips and advice for your child and much more. Please check your email. The Mini Baby Sleep Book is on the way! We try to respond personally to all our emails within 48 business hours.